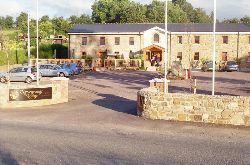 Newgrange Lodge is available to hire exclusively for a variety of events. We can accommodate 90 people comfortably and guests can avail of all the facilities within the lodge. Venue hire rates are subject to change depending on the season and availability. These rates are subject to the number of guests staying , your linen and towel requirements and the duration of your stay. A discount of 10% off the second night’s rate is offered if you rent the lodge exclusively for 2 or more nights.